Theres just one word to describe the food at the Plantation Grill: Delicious. 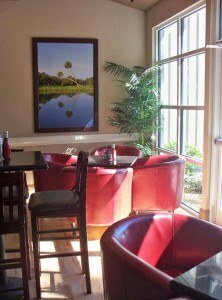 First-timers and other Edisto newbies are often unaware of the fact that the Plantation Grill even exists as it is located inside the Wyndham resort on the beach, let alone that it is open to the public. Patrons need only drive into the resort and follow the signs to the restaurant. Once inside, diners have the choice of eating at the bar or in the dining room, but no matter where they sit, the food is to die for. For the past five years chef Nathan Smith and sous chef Bobby Burns have worked diligently to provide the best food possible for patrons of the restaurant. Smith said the menu is ever-changing to allow for experimentation and stepping outside the box, especially during the off-season. During the peak summer months, the Plantation Grill offers everything from spicy chicken sandwiches to fresh seafood to mouth-watering barbecue. Smith said local markets in the area like Kings Market and George and Pinks and the seafood markets make it possible to provide patrons with the freshest ingredients possible, which make all the difference when it comes to eating authentic Lowcountry cuisine. In addition to the fresh seafood, slow-cooked and on-the-bone meats, and overall variety on the menu, the Plantation Grill offers diners with a large selection of desserts that are a must-have during any vacation. Some of the deserts include cheesecakes, homemade chocolate chip cookies sandwiched over chocolate mousse or ice cream, key lime delight, and anything else the chefs some up with. All desserts are fresh and made in-house. The repeated compliment I receive is that our food is as good as any of the top restaurants in Downtown Charleston, but without the drive and a smaller price tag, Smith said. While the quality of food served at the Plantation Grill rivals its Charleston counterparts, the ambiance is true to the casual nature of Edisto. 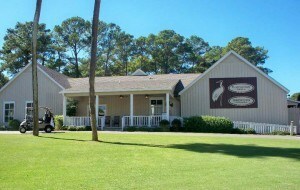 Restaurant manager Mindy Andrews said the Plantation Grill is a family restaurant where patrons dont need to worry about dressing up so long as they arent dripping wet from a recent trip to the beach and are properly clothed (no sleeveless shirts for the guys and ladies need to wear more than just a simple swimsuit cover up). Children are also welcome and a childrens menu is offered. The bar area (known as Grovers Seafood Bar which confuses some people who think they are two different restaurants, but theyre not) features multiple flat screen television sets so sports fans can watch the game, swill some beer, and enjoy hot wings, spring rolls, and all kinds of delicious appetizers or meals.